Item number 2946/64 from the MOA: University of British Columbia. 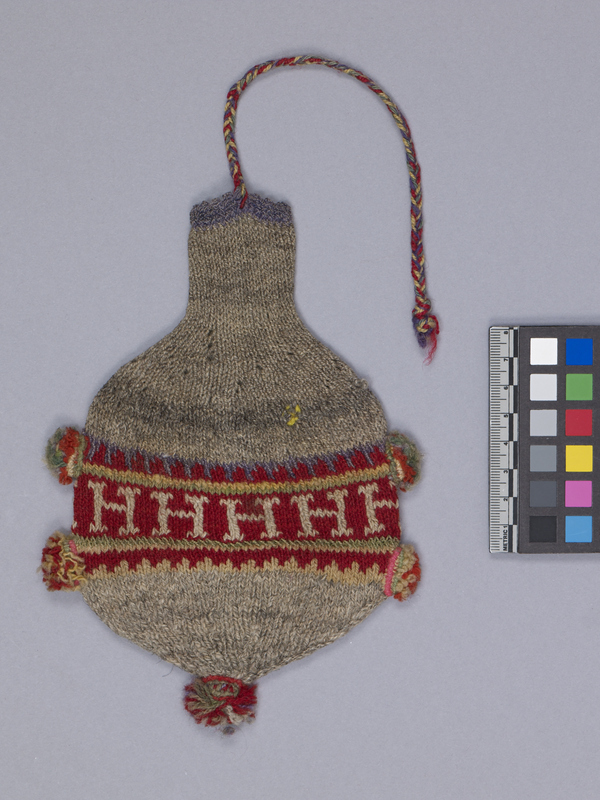 Small, round, grey, woven bag with a red horizontal band decorated with grey “H”s. There are two multi-coloured pompoms on each side and one on the bottom. There is a long, multi-coloured braided string woven into the top edge of the bag.